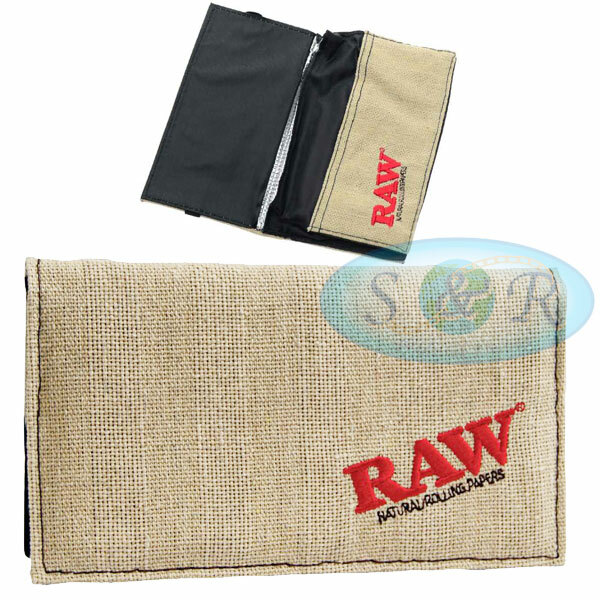 The RAW Smokers Wallet, with foil lined inside, the front compartment has no split to better fit Kingsize Slim papers. The Split version is better suited to fit 1 1/4 Size. A good alternative to the now poor quality Wolf productions pouches.